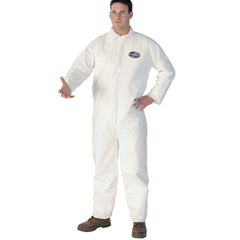 Provides better liquid and particulate barriers—excellent replacement for Tyvek®. Passes NFPA 99 Criteria for antistatic materials. Meets ANSI/ISEA 101-1996 sizing standard. White.